It never ceases to amaze me that GSM phones do not update their internal clock although they have a very precise clock on the network. The Treo is no exception. 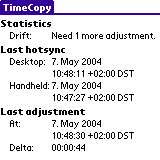 But here is help in the form of TimeCopy (Windows/Mac). It consists of a conduit and a Palm application. Together they will adjust the PDA clock to the desktop clock. Since both Windows and the Mac can adjust their own time via NTP, you can forget now about setting the clock. The Samsung i500 (and family) actually do this just fine. And the i500 was (at least for a while) the smallest palm device out there. Very nice. Once I figured out where the conduit folder was (deep in the system library) it worked well. Unglaublich - hab ich mich auch schon häufig gefragt, warum dass so ist. 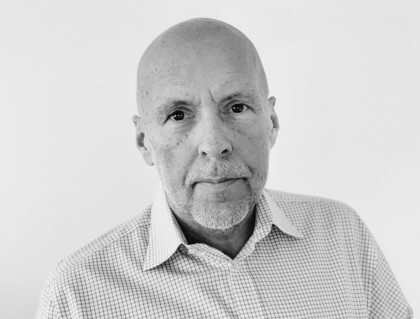 Gibts da technische Hindernisse? Oder fragt sich das ein Softwareprogrammierer einfach deshalb nicht, weil er sowieso immer eine "Atomuhr" trägt?